Sophisticated eyeshadows impart dynamic iridescence with a sophisticated frost finish and amazing adherence. 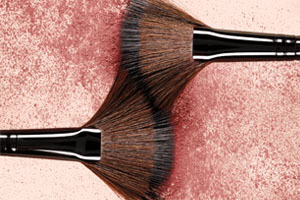 Long-wearing and crease-resistant, each color looks freshly applied throughout the day. Micronized eye shadow pigments deliver deep color in a single stroke and are ultra-refined for a soft, luxurious feel that will last all day long. With superior payoff, eye shadow formula adheres to the eye lids with extreme comfort for a smooth finish and soft, creamy feel. The non-dusting eye shadow colour is easily layered or sheered. A sweeping spectrum of eye shadow colors blend and build for monochromatic statement eyes, seductive smoky looks and subtle eye accents.